This MH is not Merle Hansen. 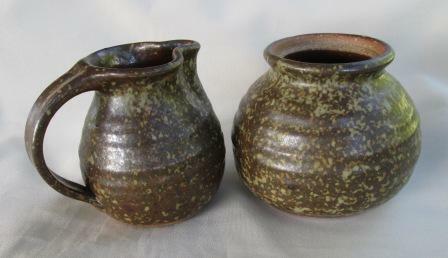 Plus Merle Hansen's pots and mark. 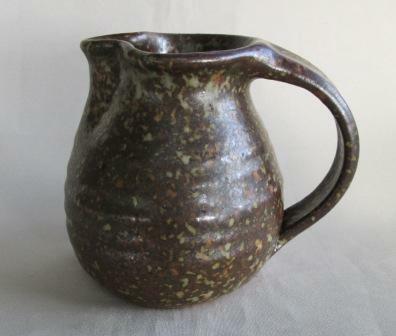 10cmh a lovely rustic speckled matt glaze outer & deep red interior little brown jug..
just perfect me thinks..MH for Merle Hansen? Re: This MH is not Merle Hansen. 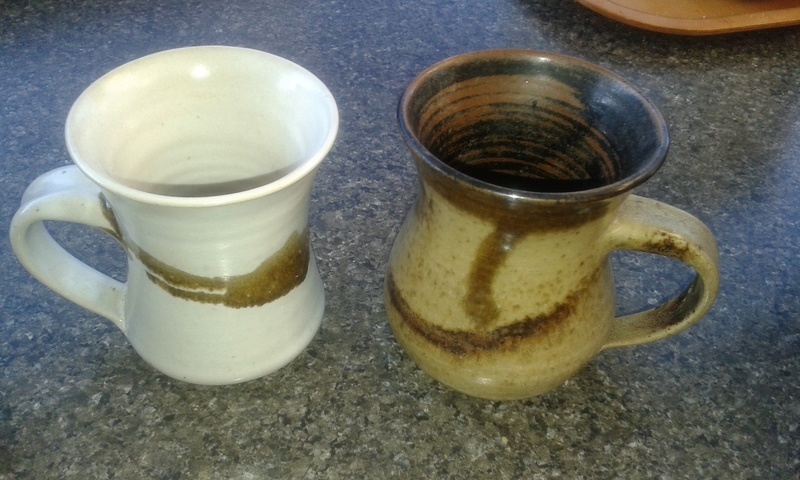 Plus Merle Hansen's pots and mark. Hmmmmm that is similar, but not quite the same I feel. We need some other opinions now ...... Cat-a-lat what do you think? 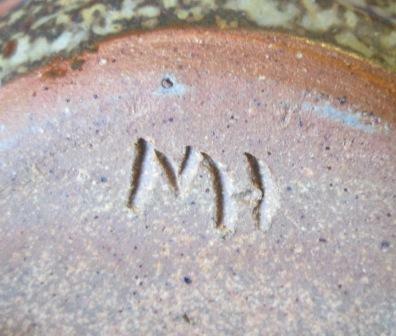 Ok Kat as she seems to be the only Potter joining an M and an H so far. Will put it into the Gallery when I get home. 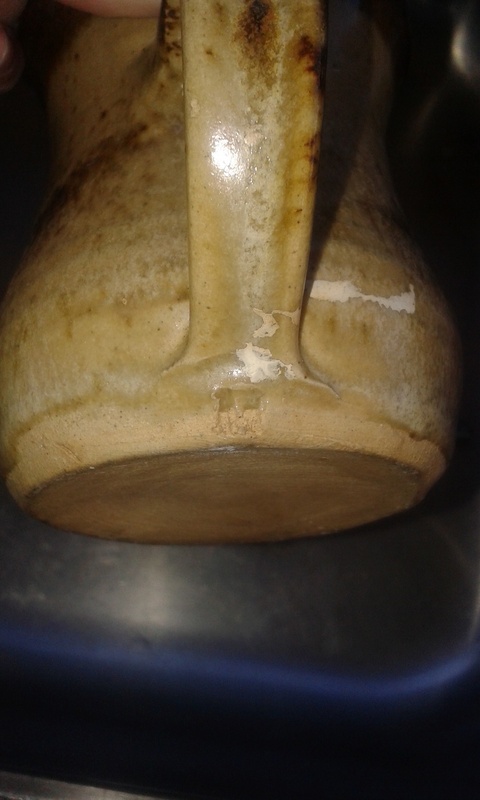 NZ Potters have her potting domestic stoneware from 1968-1991 these pots fit that time frame me thinks. 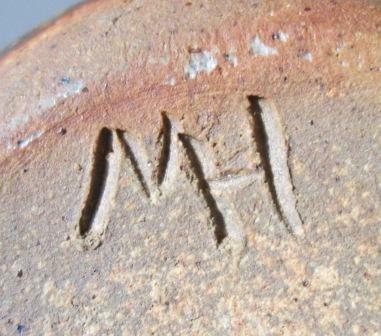 But now I have found a similar mark for M Humphrey in this old book..
so maybe not Merle Hansen after all.? Ok I've removed it from the Marks Gallery until further confirmation comes to hand. What an interesting lot of marks on that post..... Doris Holland became Doris Lusk didn't she? Is this a whole book of marks Kat? It looks familiar so I may have it ..? Yes its an old version of the NZ Potters Marks booklet. Oh ok, do you mean the book put out by Alan Coates? 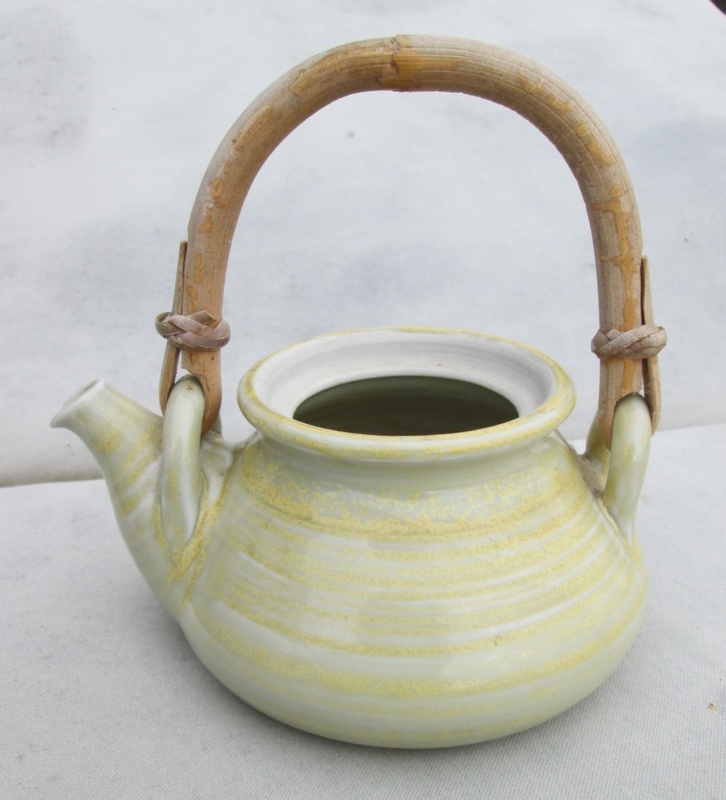 MH on this sweet teapot from Sandees' collection. from all the pot I remember she used to just put a square stamped M solely on the bottom of each piece. Hi Trudy, sorry to hear about your Mum. 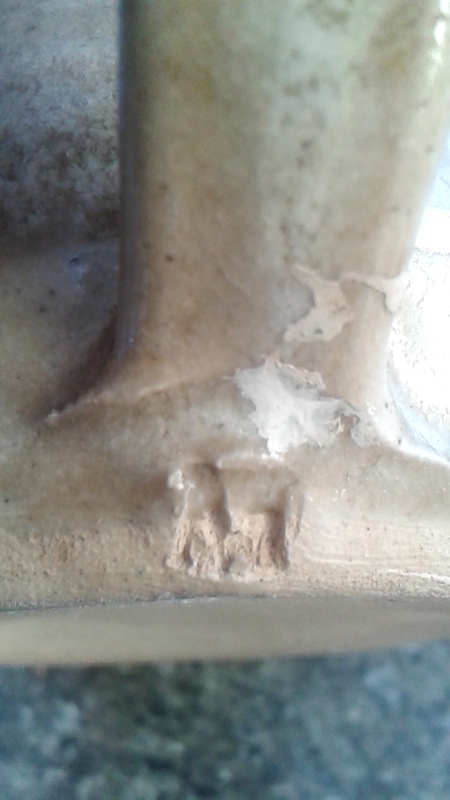 I have wondered about her mark and if it was correct or not, so it's good that you have noticed it. Is there any chance at all that you have a piece of her work with her mark that you could add to the site? In the meantime I will take these marks out of the Gallery and put them into the Mystery Marks. I will ask Dad about her Mark and I know my sister has a couple of pieces so I will take a photo of the underneath that will show the mark. Thank you Trudy, there is no hurry, just when possible. 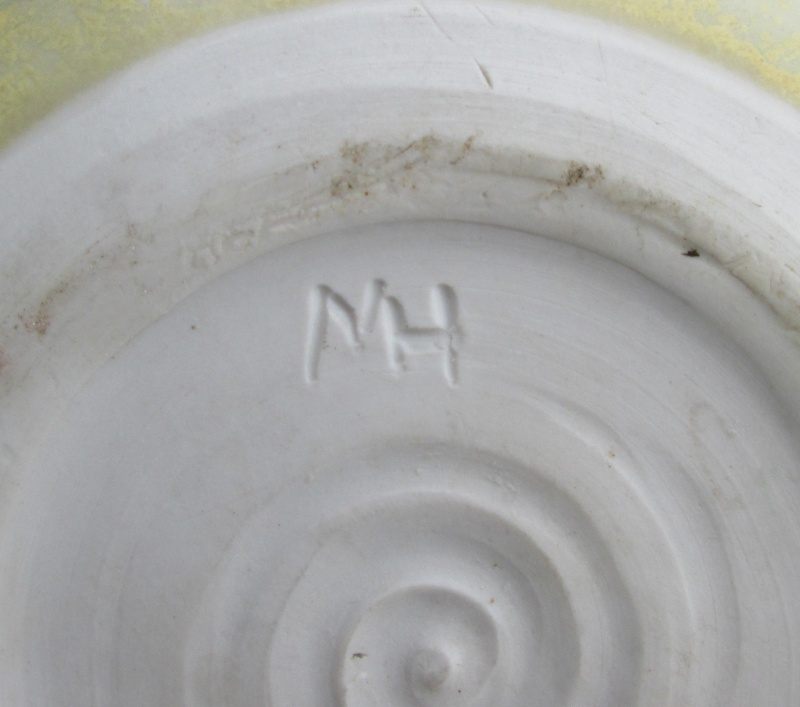 Thanks heaps Trudy, I am pleased to add her mark to the Gallery. Oh I particularly like that Tea Canister with it's rope handle in the cork. 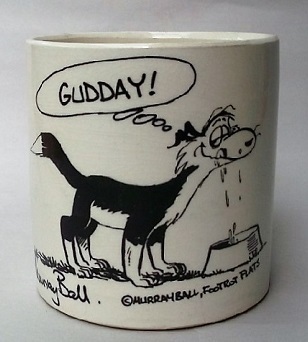 Very dated, but from a time of wonderful high fired pottery in NZ. Is this mark Michael Houghton? Another possibility.. 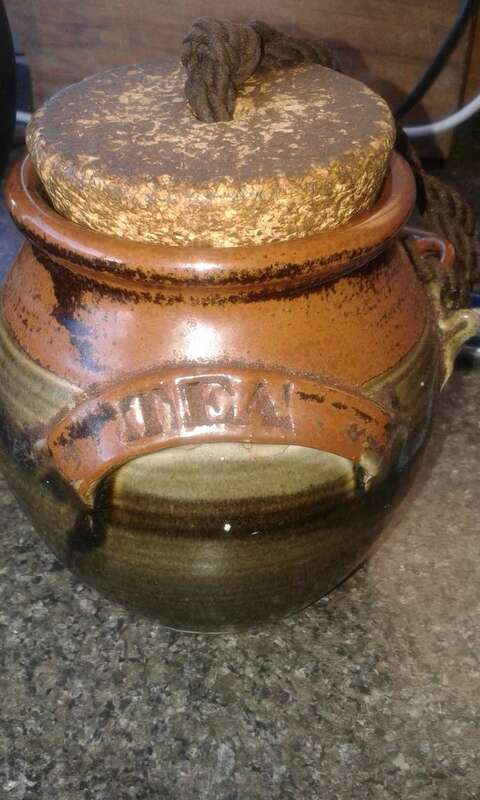 I saw a well made lidded pot today marked MH like the first pics for Michael Houghton & the pot had a Black Sheep Gallery Keri Keri label inside....Hhmm.